If you’re looking to save on a new family vehicle near Mechanicstown, you’ll have a hard time finding a better option than a used Honda Crosstour at Middletown Honda. The Crosstour began life as a hatchback take on the Accord and as a callback to station wagons. 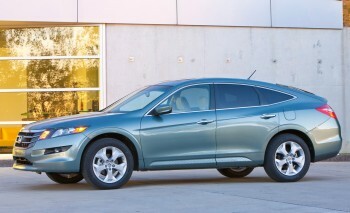 In short, Honda looked at a popular old family vehicle and gave us a modern equivalent. Although the Crosstour hasn’t been around long, we still get a few of them into our used vehicle selection and thought we should give you an overview of what to expect when you come browsing for one. Add increased ride height and the option for an all-wheel drive system onto the Accord, and you get a glimpse at what the Crosstour has to offer. Then there’s the added storage space and convenience of a hatchback design that makes the vehicle truly versatile. Drivers had the choice of either a four-cylinder or V6 (with optional all-wheel drive), meaning that you may be able to find a model with the extra power or end up with a slightly more fuel efficient option. While there was more than a name change that occurred between the Accord Crosstour and the first generation of the vehicle on its own, by and large these models are just the preview of what came later. If you find a used model, don’t be surprised to see it equipped with luxury options—many families chose the Accord Crosstour EX or EX-L instead of going with a full-blown luxury-priced family sedan. All of these models featured a 3.5L V6 with a 5-speed automatic transmission that’s good for 271 hp. Some popular amenities included all-wheel drive, Bluetooth, heated front seating, leather upholstery, a rearview camera, and a navigation system. If you want to get one of the best kept secrets in the family vehicle market, visit Middletown Honda at 520 Route 211 E. and check out our selection of used Honda Crosstours. We are conveniently located in Middletown and are just a short drive from Mechanicstown.